Cycle Dog Leashes and Collars | Do the twisted. 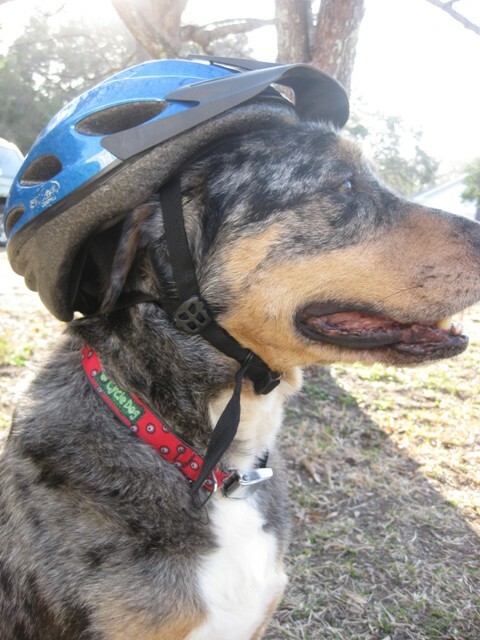 My dog Cooper is not a cycle dog per se. He will not go near my bike, cause in his eyes, my bike is some sort of dog eating monster. Same goes for roller-blading. Tried that once and he tripped me and ran away before we even left the driveway. But he sure does like to run with me and watch me drink beer at least, which happens to be a perfect combination for him to wear Cycle Dog instead. 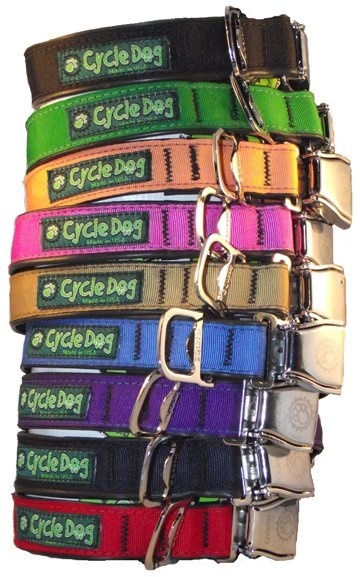 Cycle Dog makes dog collars and leashes, and now belts for humans, out of recycled bike tubes. As if that is not awesome enough, the collars and belts come with a bottle opener. The only thing you need to work on is training your dog to fetch you a beer. Then, you can officially be best friends. Regardless, Cycle Dog is making a difference by helping us and our pets reduce our carbon prints. There are over 60 million bike riders in the US. Just because they lost their training wheels doesn’t mean they don’t get flat tires. I got a flat once and unfortunately, my tube most likely ended up in a landfill. Lanette Fidrych, founder of Cycle Dog, is collecting these tubes so they don’t harm the earth more than it already is. Nowadays, bike shops and individuals send her their tubes, helping her grow her business and customer loyalty base further. Below is what she sorts in an average day. I know what you’re thinking. It must be like Christmas! Crazy isn’t it? To learn more about Cycle Dog, check out Motto Agency‘s Behind the Brand Interview. Cool post, I have four Greyhounds myself.